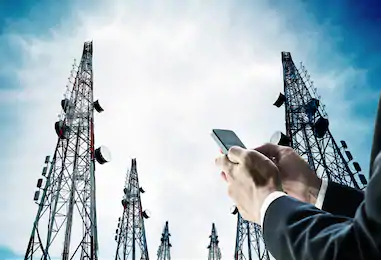 The telecom industry is seeing a high level of competition due to the benefits of automation and the use of advanced technology. Telecom providers require various business support systems to be strong enough to compete with the majors in the industry. At Dreamstel, we focus on easing the operations with our consulting services and enterprise solutions. We utilize Salesforce and other software services to deliver excellent quality of work. We can help you in creating custom quotations, unique models for fulfillment, and more by using Salesforce. You would be able to offer real-time pricing and services and transform your B2B telecom services. We help you in improving your operational efficiency with our value-driven IT services. The telecom IT solutions we provide improve your revenue generating opportunities and respond to the requirements of your customers according to their changing needs. Capture new markets and grow your business with our Salesforce consulting and development services. Digitally transform, compete and modernize your system with our best-in-class IT services. We partner with the Next-Gen digital platforms to give you a better experience. We offer the next-level brand-defining experience with our innovative solutions engineer for the future. Looking for best-in-class services? look no more. We focus on application development and maintenance, business intelligence and network management.